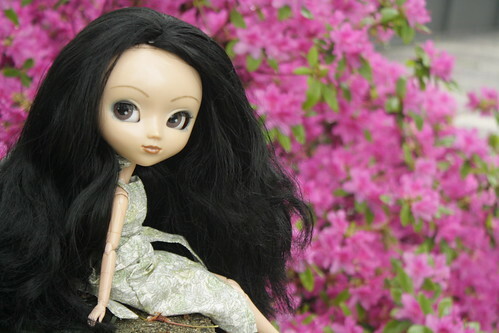 Pullip Squall was one of the first pullips released (I think sixth chronologically), it’s hard to believe that she was released almost seven years ago now. 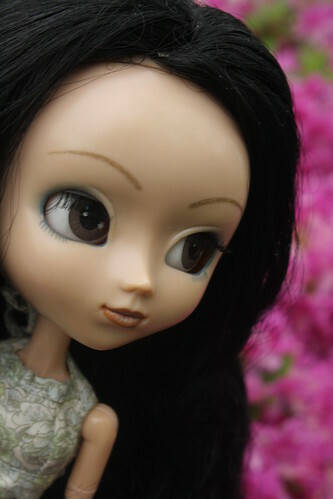 I myself have been collecting pullips for over four years now and it’s like so strange to me that dolls I remember preordering like Aquel are now discontinued and she was released just back in 2007. Squall is somewhat hard to find these days due to her age, the one I already have came to me in really rough condition as she spent about five years wearing microbraids in her hair, no matter how many hot water treatments she gets her hair remains set in afro mode. 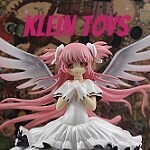 I always had it in the back of my mind that if I ever saw a nice minty one at a reasonable price I would get her, so when I saw this girl pop up on livejournal a few weeks ago I pounced. I have sinced given up on trying to fix Adore’s afro and accept it as is ( she now has an outfit worthy of a disco diva). I have named the new girl Nymeria after a direwolf from A Song of Fire and Ice which I just recently read and absolutely loved. Somehow the name was the only thing I could think of to suit this exotic beauty. Nymeria isn’t perfectly stock, she has been rebodied with a type 3 body (Cornice’s) it’s a good skintone match so I am not particularly bothered by the change and I know from experience that the weight of Squall’s hair has been known to cause issues with type 1 necks. Pullip face ups have really become more detailed over the years, the early girls are still really lovely but look a bit basic next to some of the newer girls. 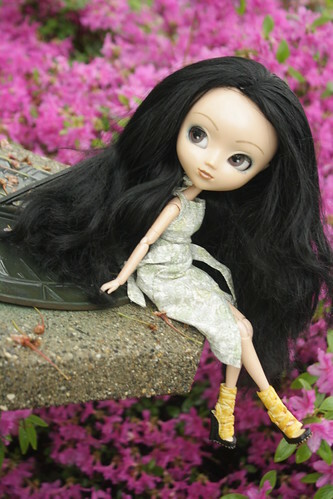 This entry was posted in 2011- 365 Toy Project, Doll, Pullip and tagged Pullip, squall. Bookmark the permalink. She is lovely. Does her robe belong to the original stock ?